Ecomstate: hair curlers and heated hair rollers, trash bags, clothes hangers, packing bags, garbage bags. 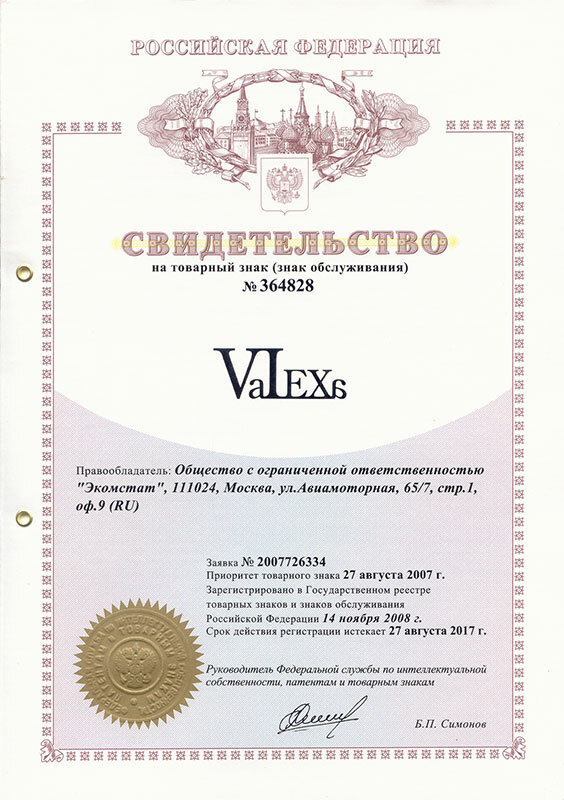 VaLexa (view certificate) — our own sales label in russian market of consumer products. Under the label we offer a wide variety of products, manufactured by our company. We are working on the russian market for more than fourteen years, constantly evolving in the processing and manufacturing of plastic products. To meet customer requirements, our company pays great attention to design of the products, improvement of technologies, and is always developing new types of products. Each year our product line is increased by 10-12 products, and it is a merit of our workshop (manufactory). Every year we update our industrial equipment, participate in exhibitions, raise the technical level of our engineering staff. For your convenience, there is organized a regional delivery service. Clothes hangers for garment sewing industry enterprises and household goods retailers. Our product line includes over sixty types of clothes hangers, and hangers for all types of clothing, including: for blouse and pants; for coats and suits with rotating metal and plastic hooks; for kids clothing, lingerie and corsets; for fabric samples, etc. Plastic film and products from it: plastic film from LDPE and HDPE; plastic bags for clothing products, including bevel for shoulders and a hole for a hanger; garbage bags in sheets and rolls from LDPE and HDPE. Combs and hair curlers for professional hairdressers and for commerce of fancy goods and cosmetics. The site contains a wide variety of hair curlers and combs for any needs: heated hair rollers — 7 types; professional hair curlers; foam; for perm; simple rollers with rubber band and screen. Izolon mats, Seat pads, Izolon slippers. "Izolon" is a soft, lightweight, environmentally friendly material. We are offering 2 and 3 layer mats of standard size (1800x600x10mm) and slippers sizes 38-45. It is possible to manufacture products with any color combinations.